Vitamin D for Bones-It is no more a surprise that a vitamin deficiency can be fulfilled by just standing under natural sunlight? Yes the best way to counter widespread vitamin D deficiency and other health problems could be through moderate exposure to natural sunshine. Regular sun exposure, without sunscreen, causes your skin to produce vitamin D naturally. Although humans make 90% of their vitamin D through sun exposure to the skin, but concerns about skin cancers have led to the wide use of sunscreen. Applying sunscreens block the skin from absorbing ultraviolet rays from the sun. Nowadays, humans spend less time in the sun than at any point in human history and that leads to more and more people to be vitamin D deficient. Vitamin D deficiency is quite common, and a growing list of diseases and conditions are being linked with it. 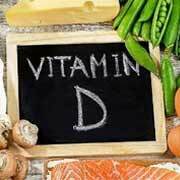 Researchers have marked that from 25 to 50% of children and adults are deficient in Vitamin D. It has been evident from the studies that vitamin D deficiency is a contributing factor in recurrent major depressive disorders with seasonal patterns. Another study revealed that vitamin deficiency is linked with faster growth of breast cancer cells. Moreover, the association between vitamin D and strong bones has been widely known for years. 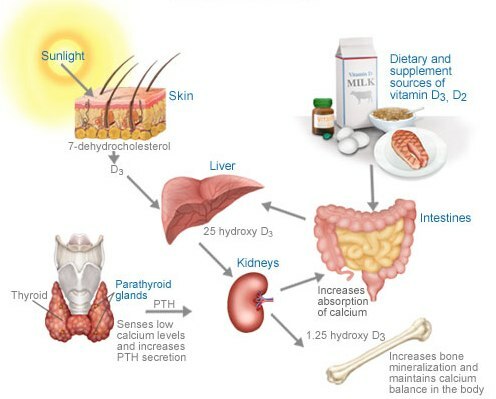 Vitamin D deficiency can lead to several diseases like osteomalacia in adults. Osteomalacia interferes with new bone formation or the production of osteoblasts (bone cells). What happens is, human body is constantly works in a process of removing old bone and replacing it with new bone. This is called “bone turnover” and osteomalacia interferes with this process. In most cases osteomalacia is curable through increased intake of vitamin D, calcium and other bone building nutrients. It is always best to get these minerals from your diet, but daily supplements of vitamin D and calcium will be required as an osteomalacia treatment. Furthermore there are many ways to fulfill vitamin D deficiency but natural sunlight can benefit you in other ways as well. When skin is exposed to sunlight, nitric oxide is produced which lowers blood pressure. Vitamin D also plays an important role in preventing and treating numerous long-term health issues, including some types of cancer, asthma, diabetes and cognitive impairment in older adults. Sunlight is the best and only natural source of vitamin D. Unlike dietary or supplementary vitamin D, when you get your ‘D’ from sunshine your body takes what it needs, and de-metabolizes any extra. Hence, exposing bare skin to ultraviolet B rays in sunlight for about 10 minutes per day is typically enough time to manufacture a sufficient amount of vitamin D.